Just when I think my humble little blog posts about Cicada 3301 resemble St. Jerome in the wilderness, along come a few fans who seem to be paying attention. In seems that Cicada has taken a shocking-yet-entertaining turn a la Nostradamus. Everybody appears to be following arch Cicada hunter Defango with his almost comical daily streams and updates. 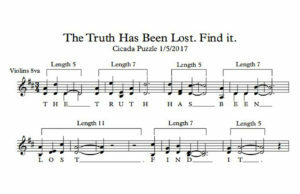 He was one of the first to call attention to the March 14th release of clues by Cicada which, once again, resemble prophecy – especially since much of it has been coming true! Remember when Cicada had all that stuff about sevens and, next thing you know, Wikileaks releases Vault 7? Then Cicada promised an Apocalyptic Spring, and watching Syria, Russian tensions, Afghanistan, North Korea, and Kendall Jenner’s Pepsi ad, the world sure seems at least headed that direction. Cicada predicted the Syrian airport bombing by our military, the outcome of the Turkish elections, and a host of other things – all before the pundits did. Have you noticed that the Cicada music is getting progressively more complex, moody, and mature, with an original sound that defies genre? Just listening evokes deep emotions. 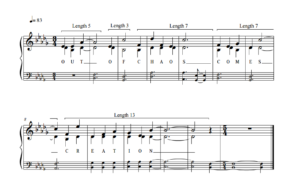 I don’t know if this is some kind of special hypnotic frequency trick, or just plain old-fashioned good composing, but it works. Nonetheless, music appreciation alone wouldn’t merit a blog post. 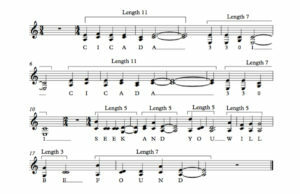 The latest musical cryptogram is in the sevens.exposed website (http://www. 1711141131131.xyz). Starting 4 minutes and 1 second into the music (241 seconds. A prime. Of course.) The whole piece runs 6 min and 1 second, one of several cues that seem to be indicating something momentous is going to happen on June 1. Or maybe it’s just celebrating the 50th anniversary of the release of Sgt. Pepper’s. 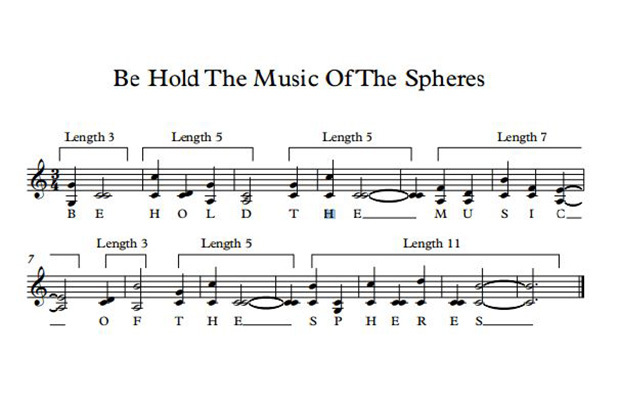 Anyway, the hidden message is Be Hold The Music of The Spheres. Yeah, you read it right. “Be Hold” not “Behold”. Your guess is as good as mine. Have A Slice Of Cicada Pi! Yes, It’s Another Bit Of Cicada Cryptomusic! Coded Music In Cicada 3301?